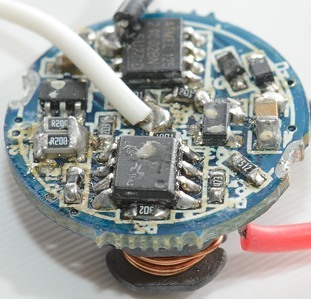 Caution: No more than 3 D-size Li-ion Batteries (4.0V~12.0V) for protection this LED board,When overheat, automatically switch to Low mode, and flash one time per 5 seconds. When return to safe temperature, automatically switch to previous mode. Tested with XM-L2 (And it did survive). The driver is not a 3A driver, but a 5A driver! A short off/on will change to next mode. 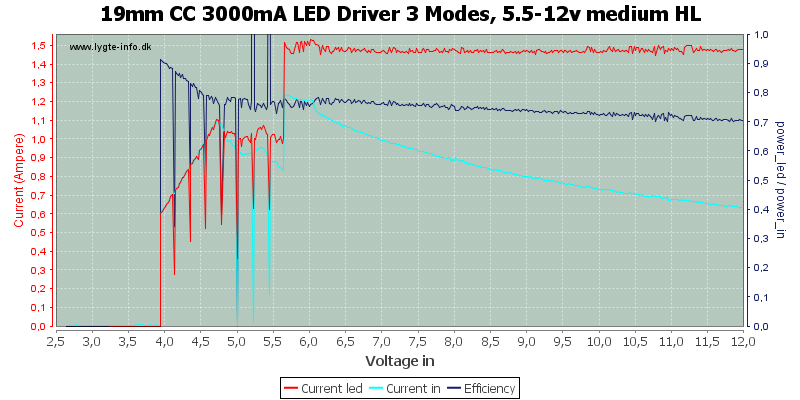 Medium uses pwm at 1kHz with 30% duty cycle. 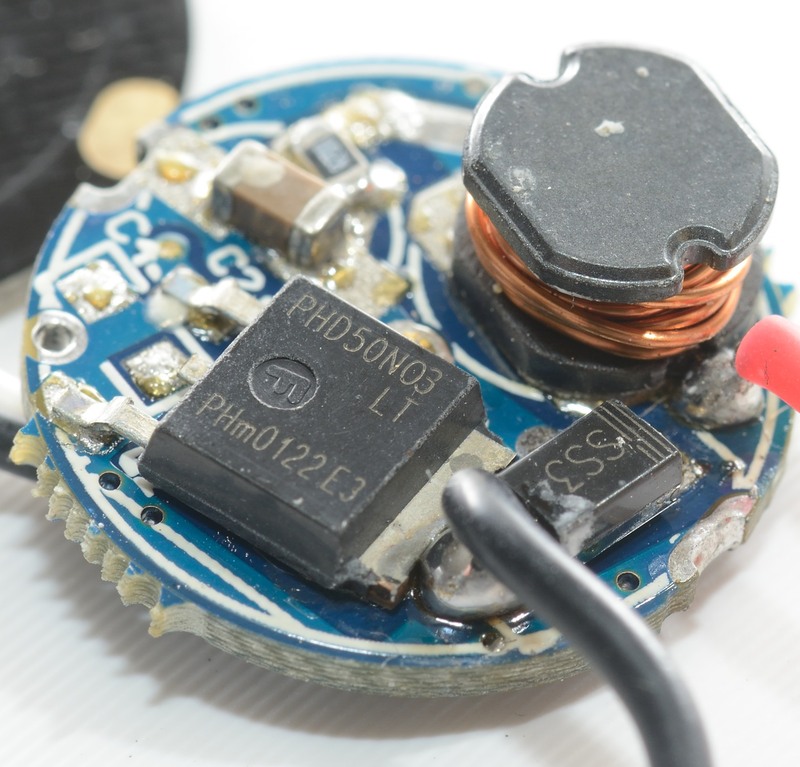 Low uses pwm at 1kHz with 5% duty cycle. 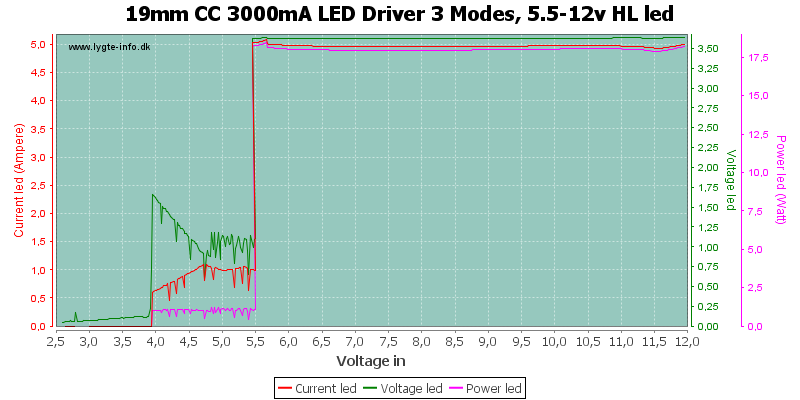 The driver needs about 5.5 volt before the output is stabilized, but it does not stabilize at 2.8 or 3A as the specifications says, it delivers 5A to the led. 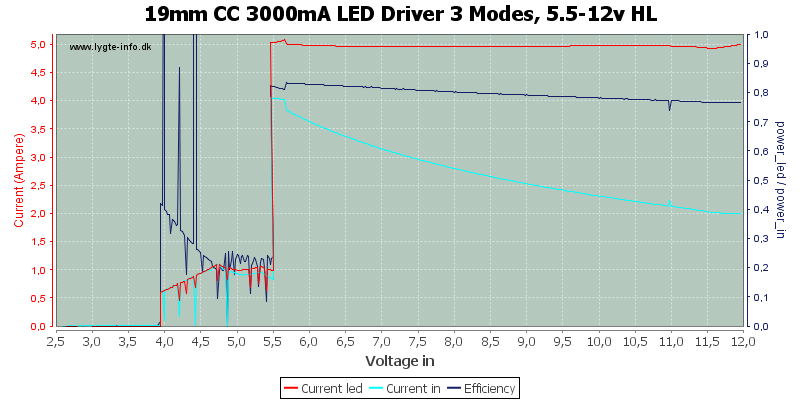 The efficiency is also lower than specified, probably because of the higher current. 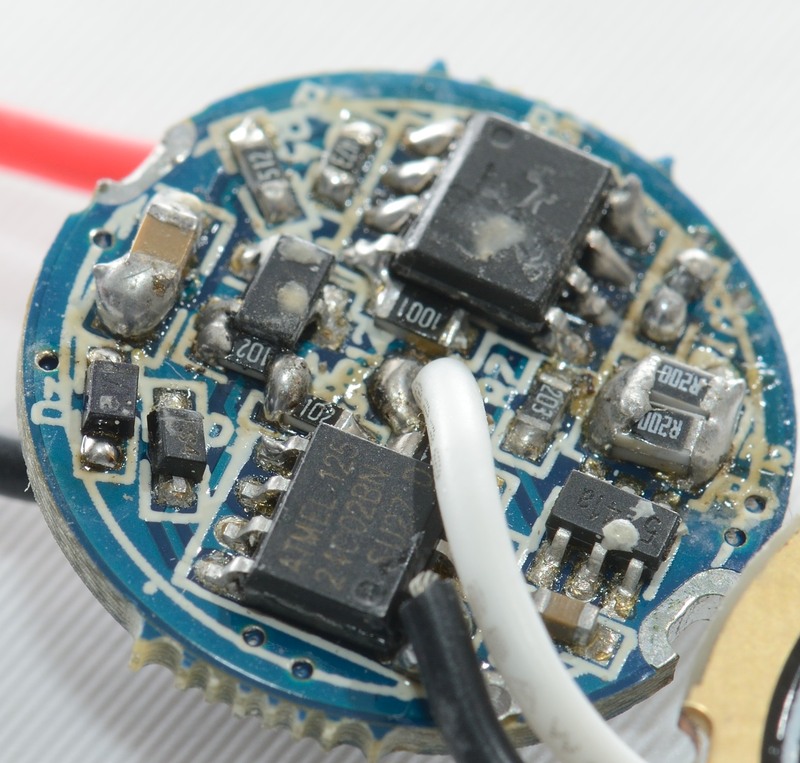 The low voltage warning activates at 5.5 volt. 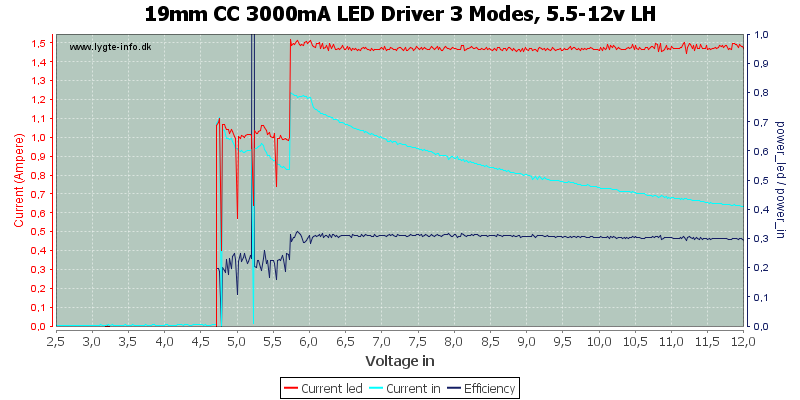 When slowly increasing the voltage, the driver turns on at about 4.8 volt and goes out of low voltage warning at about 5.7 volt. There is no pwm in high mode, only some high frequency noise. When the driver gets hot is uses pwm to reduce output. 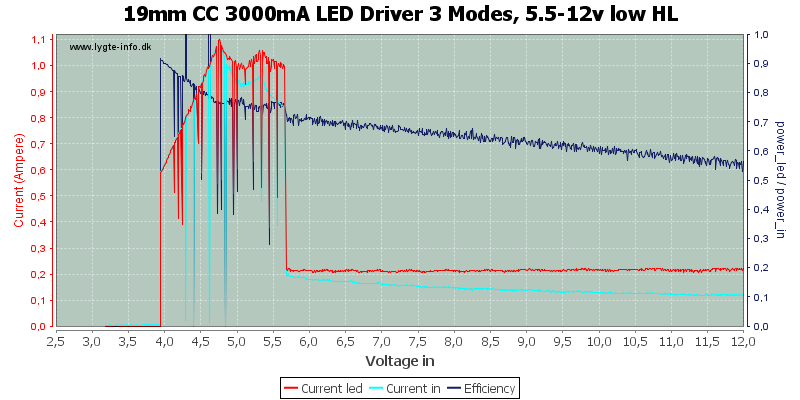 Low voltage is signalled by two fast off then 5 seconds low light. 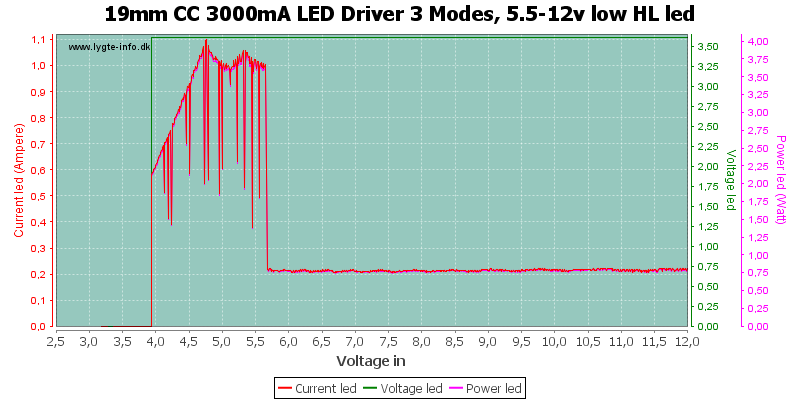 In medium the average led current is about 1.5A. 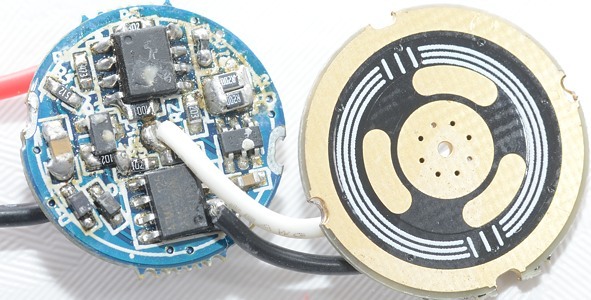 The low voltage warning activates at 5.6 volt. 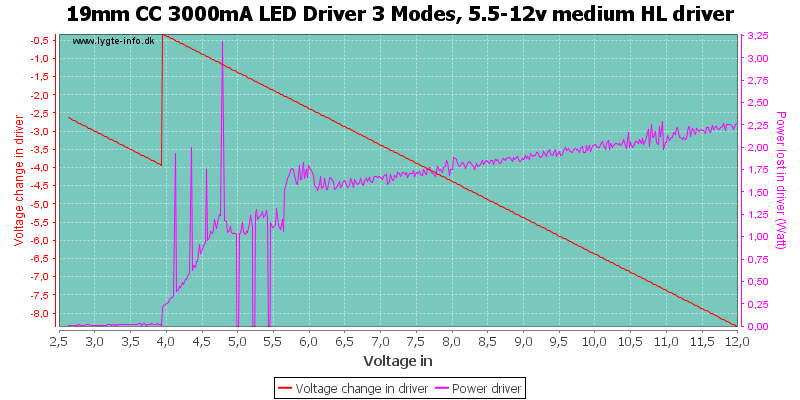 For medium the driver uses a 1kHz pwm with 30% duty cycle. 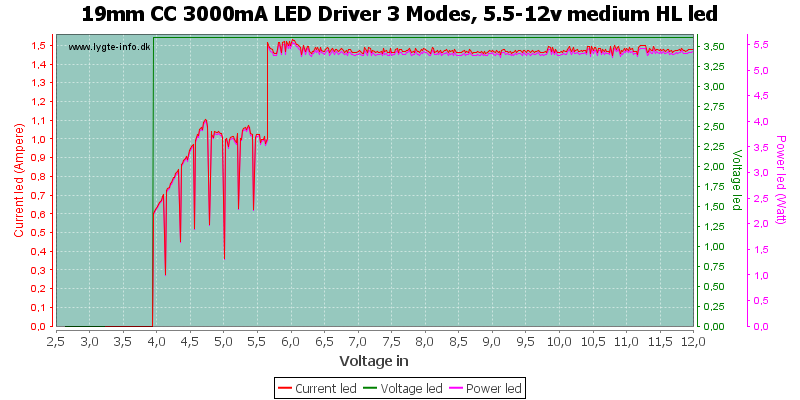 In low the average current is about 0.2A (Remember due to pwm the actual current is 5A, but only in short pulses). 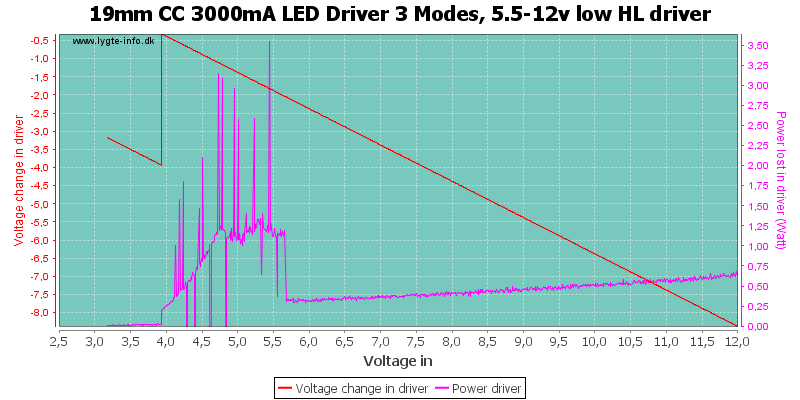 For low the driver uses a 1kHz pwm with 5% duty cycle. 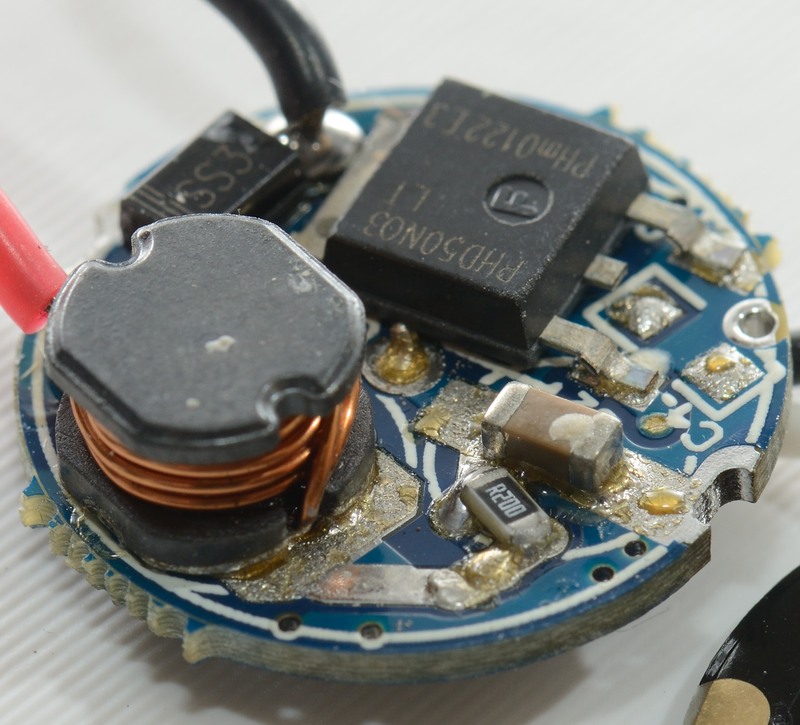 The driver works fine and the heat warning is a nice feature. But the high current has a great risk of damaging the leds, the current must either be reduced or the driver must be used for leds with higher current rating. I am not very impressed with lck-led's custom service. 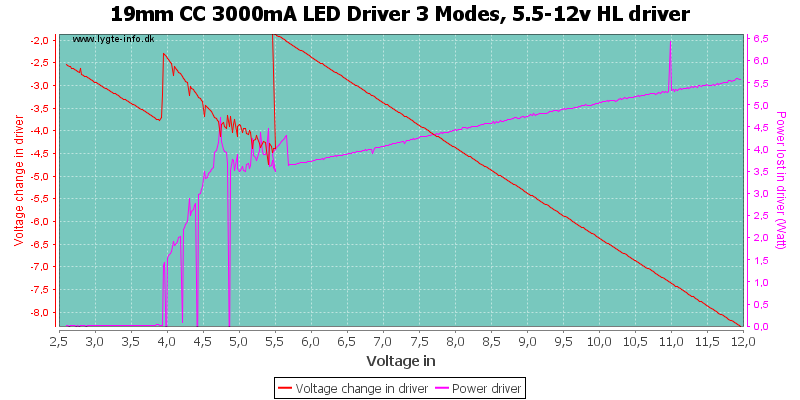 I got one wrong driver and one driver that were far outside specifications (This one). I have sent a couple of emails to them, I got one question back after two weeks: did I want money back or a new driver. There was no explanation if it covers one or both of the problems and I do not know if they have sent me a new driver (That was my answer).